When the economy takes a downturn, people tend to be very careful about spending, posing challenges for those who own and operate businesses that are affected by changes in the economic environment. However, not every type of business is likely to experience problems during a recession. 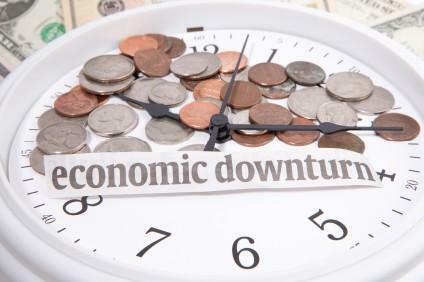 If you're thinking about starting a business, expanding your company's offerings, or are seeking employment, it's certainly a good idea to find out what types of enterprises aren't likely to experience a negative impact when the economy slides into a state of recession. While no business is one-hundred percent immune to the impact of a recession, some are less likely to suffer when the economy is experiencing a recession. Some companies even experience an increase in business resulting from lifestyle changes that people make when their spending habits change as the result of a job loss, salary reduction, or other situations that might arise during times of recession. Businesses that cannot afford to keep full time administrative support staff members still need assistance with daily operations. Instead of hiring permanent part or full-time staff members, many business owners and managers are turning to virtual assistants to perform secretarial functions, bookkeeping services, marketing assistance, and other functions. Because businesses are able to pay virtual assistants per project or only for hours worked, they are able to get the services they need in a cost-effective manner. Virtual Assistant Stephanie Watson asserts that virtual assistants are able to thrive during the recession if they properly educate business owners on the benefits they offer. With help from a virtual assistant, employees can shift their focus away from administrative duties and focus on activities that generate revenues, which is essential to stay afloat during a recession. Death is an unavoidable life event. Because of this, funerals will always be in high-demand. An article from the New York Times noted that individual preferences of clients propelled industry growth during the recession. As the complexity of the mortuary industry increases and funerals become more lavish, the one-stop-shop model continues to enhance the exceptional level of customer service provided to grieving loved ones and the need for additional employees on hand to execute their requests. Because of the increase in layoffs and decline in bank account balances, Americans turned to candy as a comfort food. It was popular amongst those hit hardest by the recession because it provided a simple and affordable way to perk up the spirit. According to a recent article from the NY Times, store owners struggled to keep up with the increasing demand during the latest recessionary period. Peter Liebhold, chairman of the Smithsonian Institution's work and industry division, noted that the candy industry is practically recession-proof, and was even able to withstand the Great Depression. In hard times, Americans tend to rely on pets to provide a soothing mechanism. According to Carol Tice of Forbes, pet owners did not cut corners when administering care to their furry friends. She also noted that the pet franchises had a low start-up cost to cater to the market that served 62% of Americans. As a result, the industry soared during the recession, benefiting both pet owners and entrepreneurs. As the economy plummeted, the rate of default amongst outstanding debts increased. This boosted the demand for debt collectors as it was often cheaper for companies to outsource this function instead of hiring additional staff members. According to an article from The Boston Globe, it was more beneficial for those companies who had an excessive amount of delinquent accounts to solicit the assistance of a collection agency because the balances were often difficult to collect, and specialized collection tactics were necessary to improve the success rates. These ideas for recession proof businesses are only a few of the entrepreneurial and employment opportunities that remain viable during an economic crisis. While everyone is likely to feel the impact of a major downturn in the economy, those who are able to come through with minimal damage are the ones who pay attention to how consumer behavior changes in response to what is going on and adapting to meet the changing marketplace.